Financial sustainability remains a critical challenge for most organisations in the Non-Profit Organisations (NPO) sector in Zimbabwe and around the world. Although a variety of toolkits exist examining specific sustainability strategies, many organisations continue to struggle to develop and maintain the resources needed to carry out their operations in the foreseeable future. This constraint limits organisational autonomy by inhibiting long-term planning and flexibility in designing and implementing activities. Financial sustainability is also a key piece of the puzzle to empower local organisations to take greater ownership of the development process, as a robust resource base provides the resilience needed for organisations to experiment with new models that reduce long-term donor dependence. However, there is a call to develop and test ways that different actors (including donors, policymakers and intermediary organisations) to work together to improve the factors that drive local organisations’ financial sustainability. Our focus in this article is on predominant sustainability questions: What factors are particularly conducive to local organisations’ financial sustainability? How can the local organisations take ownership of the development process? Which other stakeholders are instrumental in improving financial sustainability and encouraging local ownership of development? In the NPO sector, there is a tendency for organisations and partners to form an overreliance or dependence on international donor funding streams, which puts them in a vulnerable position in the case of donor withdrawal. Despite knowledge of this risk, a number of factors deter the ability of NPOs to acquire financial support beyond donor aid. These organisations face a diverse range of contextual factors in their operating environment which challenge their capacity to strengthen their financial sustainability. Poor economic conditions, restrictive government regulations, lack of local culture of philanthropy, taxation regimes and lack of access to skilled labour all limit the ability of such organisations to operate independently. In Zimbabwe’s case, our volatile economy has seen high levels of inflation, a thriving parallel market which contributed to the introduction of a new currency (RTGS Dollars), multi-tier pricing in recent months and these factors have made it difficult for NPOs to operate as their budgets were constrained leading below par impacts of programmes. In addition, internal dynamics such as organisational culture, management capacities, internal governance structures, and financial planning mechanisms can severely impact an organisations’ ability to build its financial sustainability. In Zimbabwe, we have also observed some organisations whose Boards are comprised of founding members who have been on the boards for over 20 years and are reluctant to react to the changing dynamics in the sector. It is an uphill task to shift these members’ focus to other forms of financial sustainability as many are blinkered by the pursuit of donor funding. Recognition of these issues has led to a wide range of studies exploring the various methods NPO sector organisations can employ to overcome systemic challenges and improve their sustainability. Amongst these methods, diversification of revenue sources is considered key to ensuring financial sustainability. 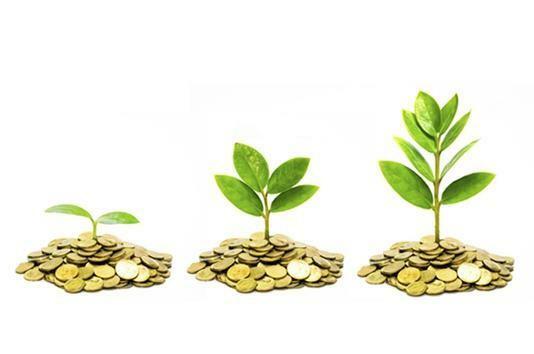 The currently substantial body of existing knowledge around sustainability suggests that, sustainability can be achieved through acquiring a multitude of external and domestic funding sources, ranging from donor support to alternative approaches such as social enterprise models, private businesses and social investments. However, there is also evidence that utilising multiple distinct funding sources leads to greater costs and additional administrative burdens, which may be beyond the capacity of smaller NGOs to manage (CSO Sustainability Index, 2016). There is increasing evidence that internal dynamics and mechanisms of an organisation may also determine their capacity to be financially sustainable. For instance, when an organisation has sound administration and robust financial and strategic planning, they are far more likely to be financially sustainable than they would be without these characteristics. Transparent reporting though strong monitoring and evaluation of financial systems can also be linked to maintaining strong donor relationships, reinforcing the capacity to acquire additional funding in the future. A number of manuals, workshops and training courses have been put across by many authors that attempt to support NPOs to increase their financial sustainability through these approaches. However, these resources tend to be generic and only broadly cover budgeting, planning, and some variation of the multiple approaches to resource diversification. KFM Consultants will be bringing together a number of Non-Profit Organisations for productive discourse on Sustainability at the NGO Sustainability Conference on the 28th and 29th March 2019. In our next article, we discuss more on the factors that drives financial sustainability for organisations in the NPO sector.